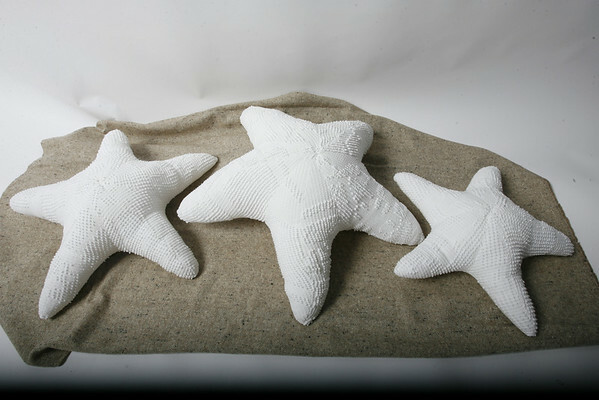 Helen Parker creates three sizes of star fish pillows made from recycled chenille bedspreads. The costs are $ $ and $. Available at Helen Parker Textiles at 67 Broadway in Rockport.